We, the team of New Delta International, Greater Noida have proved ourselves as the recognized manufacturer, supplier and trader of Industrial Fire and Safety Equipment. Our range comprises Safety Spectacles, Fire Extinguisher, Industrial Safety Shoes (IS 15298), Signs, Safety Cones and Gas Detector. Besides, we also provide Industrial Safety Helmet, Full Body Harness, Ear Plug, Breathing Apparatus, Ear Muff and Speed Bump. These are known for safe usage, reliable performance and long service life. In order to offer quality range of products, we have tied the knot with renowned business partners and vendors in the industry. They make use of quality raw material and advanced technology in the manufacturing process to ensure that no defect occurs in the products from their end. Their support and timely service further help us to deliver the consignments to our clients within stipulated time. In addition, we have trained professionals who work in close association to meet the organizational objective. The sourced range is rigorously checked & verified by our quality controllers to maintain quality in our products. We run our organization under the able guidance of our mentor Mr. Deepak Verma, who is a graduate and has 12 years of experience in the industry. His sharp business acumen, strong marketing instinct and professional approach have helped us to earn a remarkable status in the domestic market. Moreover, we are specialized supplier of personal safety wears and offer maximum competitive range of disposable wears to our esteemed clients. Due to our on time delivery of products, we have maintained a cordial business relationship with our clients such as Honda Siel Cars India Ltd, Daurala Sugar Works (DCM Shriram Group), DLW (Govt. Patiala), Bajaj Hindusthan Sugar Mills and Denso India Ltd.
Trading of Industrial Fire and Safety Equipment. We are empowered by a spacious warehousing unit which helps to accommodate our industrial fire and safety equipment in an organized manner. We preserve a moisture and dust free atmosphere inside the warehouse to store our entire range. We also have appointed warehouse personnel who check the entire range on regular interval to avoid any misplacement. In addition, we pay special attention while packaging our products. We use superior quality packaging materials to pack the industrial fire and safety equipment to ensure that the consignments reach to the respective clients in appropriate condition. Since, quality is the primary focus of our organization; we give our entire emphasis towards producing quality products and deliver them to our clients. Further, we introduce all the latest technologies and advanced machines for producing these safety products which completely ensure that superior quality is delivered to the clients. Our quality controllers pre-inspect the industrial fire and safety equipment on well defined parameters to ensure flawless products. 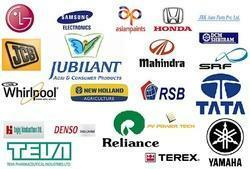 In order to deliver best quality solution, we offer ISI mark & CE, DGMS approved products to our esteemed clients. Moreover, all the industrial fire and safety equipment are stored in well organized and sophisticated warehousing unit to protect from any kind of damage. We are associated with most trusted and authorized vendors in the market which enable us in offering highly effective range of industrial fire and safety equipment. Our vendors implement latest production techniques & modern manufacturing tools in the manufacturing process. 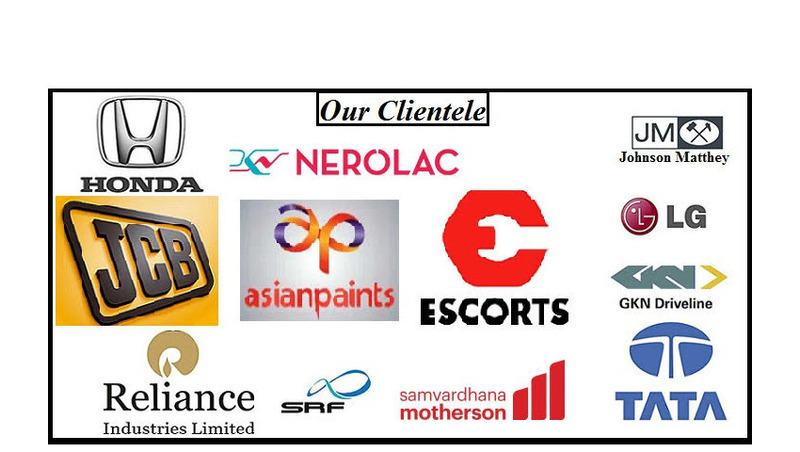 With their quality conscious approach, we have successfully achieved trust of our valued customers. We are well equipped with a skilled and dedicated workforce who constantly innovate new ideas by adopting latest technologies and advancements. Based on the skills and experience, we employ our staffs and professionals. We used to keep on boosting their performances through training programs to make them aware about the latest business updates. Our team of professionals work in proper synchronization to achieve utmost customer satisfaction and their trust. Our procuring agent’s source only quality industrial fire and safety equipment from renowned vendors of the market. Besides, we have a team of experienced engineers and skilled quality controllers who keep a close supervision on the quality checking process as well as final shipments of consignment to ensure safe and timely delivery to clients’ premises. Further, our warehouse personnel manage all the finished range to store them to avoid any kind of mislay. Since we follow a client centric approach, we relentlessly work to achieve maximum clients trust by offering qualitative range of safety products. Our range of industrial fire and safety equipment is sourced from distinguished manufacturers who guarantee flawless products. With our on-time delivery and best quality solutions we have received huge appreciation from our clients. With our professional approach, ethical business practice and transparent business dealings, we have established a vast clientele within the domestic region. •Terex Vectra Equipment Pvt. Ltd. In order to provide easy monetary transaction and convenient services to our clients we offer several payment options. Our clients can undergo with any one of the payment options to deal monetary transaction with us. This enable us to run smooth and hassle free business operations throughout the year. With qualitative safety products, prompt delivery and cost competency, we are counted as the recognized organization in the market. Further, our ethical business practice and quality driven policy help us in building cordial relationship with our clients and establishing a large clientele across the market.